When you order a multpack you can instantly save! Choose between our EUROPEAN and our WORLD package. If you need additional languages that are not included in these packs, just add them when you checkout. 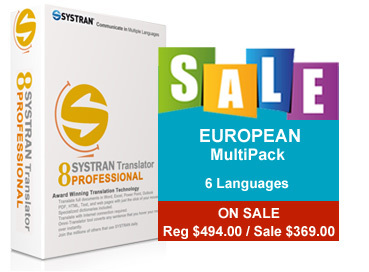 These starter packages give you the ability to communicate with the world in seconds. 3 ASIAN Languages: English to / from: Chinese, Japanese and Korean.